On January 29th Empire star Jussie Smollett was attacked in an anti-gay hate crime by Trump supporters. He was beaten along with tormented by two men who initially gained his attention by yelling out “Empire Fa***t N***er”. Beforehand Smollett had admitted to receiving hate mail both for his sexuality and race. The hate behind this crime was motivated and carried out by homophobia and racism. Earlier there was controversy surrounding Kevin Hart and old tweets that resurfaced stating he would hit his son if he turned out to be gay, and would do what he could to stop the chance of having a gay son. Two Black creatives worked their way up to success in their field but one of them profited off the hatred and discrimination of others which, being Black, is not only disheartening but also something that our community has looked past for far too long. Queer identities in Black communities face different discrimination. Our straight and cis peers call our community too sensitive and find it harder to accept us due to the struggles of race seeming superior. In addition to this, we as queer Black people hardly see the representation need to validate our existence and show real love instead of the sexualized stereotypes others profit from. Being queer and Black is challenging when in ways both of your communities have conflict, and the system that is built against you doubles. There is racism in LGBT spaces and there is intolerance in our families and community. Being Black is not something you can choose, just like your sexuality. Both are worn and valid and create a person. This attack opened eyes of those who previously defended Hart’s comments realizing that even just words justify actions and that the normalization of homophobia in black communities is hurting our own people. In addition to being beaten and told slurs, Smollett also had a noose tied around his neck during the attack. In this time we need to remember you can’t be for Black rights and lives if those lives don’t include those of the LGBT community. 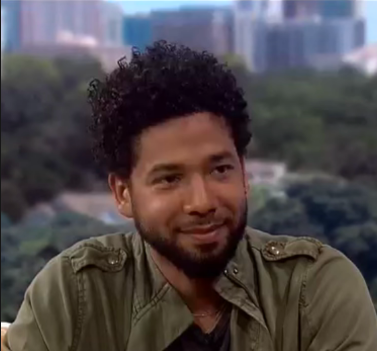 Smollett since has returned to working and begun publically speaking through the incident while receiving support from his co-stars.